A dropdown image selector. Selects items from an image list with possibility to display text with the image in dropdown. 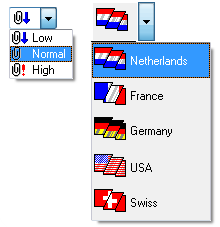 The dropdown list supports various styles, including flat, etched, with focus border. Supports normal and incremental lookup for associated text.